Welcome to the party, and why the hell am I called Frugalista? I want to just fess up and say that I think my blog name is stupid. I remember 6 months ago when I was coming up with my whole blog in the first place, I wanted a name that was cool like The Bloggess. I was also a little intimidated because this was my first blog and I was very self conscious about my writing. I really just threw caution to the wind and jumped in like people do for those Polar Bear plunges jumping in icy waters. Crazy! I say, crazy! So needless to say, I wasn’t going to name my blog Her Royal Highness, the Blog Writer. Now I’m kinda wishing I did. Because, I feel like I can do anything. I practically wear a cape when I write. I feel invincible. But I won’t kid you- criticism is totally my kryptonite. Okay, so I’m not Superwoman. Or Wonder Woman. I couldn’t fit into those hot pants. But the boots are pretty cool… I might rock those cuffs pretty good too…. I'm sure most of you men are thinking, 'why is that picture so friggin' small?'. I fall into the category of mommy blogger. For obvious reasons because I’m a mom, I write about my ‘stay at home’ adventures of car pool and bed times. The name Frugalista came to me because it seemed a good play on words for my savvy bargain hunting and my desire to be at Paris Fashion Week. So for those that are new to this page- now you know. Remember that FRIENDS episode where Rachel makes the Christmas dessert trifle from a magazine recipe and the pages get stuck together? She puts meat inside the trifle because she thought that was part of the recipe. I’m that meaty center. Unexpected, maybe tasty, maybe not your cup of tea, but unique. So there. I do blog about shopping and things I like. I like sharing what makes me happy. I am NOT a couponer. I’m like those new Ellen JCPenney commercials- no coupons on this padre! So between the bitching about my husband, my kids, random people in the news, my obsession with movies… you know- I like to talk about great shopping deals, makeup, and cute little fashion finds. But I also have to pretend to my husband that I don’t shop EVER, except for groceries. All that makeup, clothes and shoes, procreate like Gremlins after midnight in my closet. Right? Despite what the calendar says, it is not Spring here yet. It’s between the 30s and 40s for a high in these great northwest parts. So I’m ready to bust out my spring looks but hate hypothermia, so I’m still in fleece, wool and Goretex. Colored denim. At first I was like all, you won’t catch me in yellow jeans. But then I saw a couple friends in cute skinny jeans that were colored and they looked SO cute. So I got a pair of cobalt blue. Hey, it’s close to denim right? 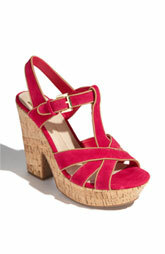 So bright blue it is with a pop of orange or teal, oh, and some cute wedges and a pedi…. oh Spring, just GET HERE ALREADY! 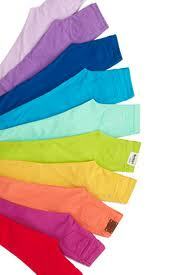 It's like Skittles for pants. 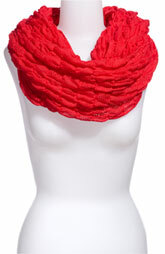 Scarves- I’m obsessed with scarves. I have more scarves than Imelda Marcos has shoes. Well, not quite. Maybe more scarves than Paris Hilton has chihuahuas. I have plenty of warm weather, cold weather and all the weather in between scarves. I like something soft and lightweight around my neck (ha ha, no, not a dog collar thankyouverymuch). Even when it’s warm out, having a light weight scarf can serve several purposes- helps shield the sun from your decollete and keeps off the chills if the a/c is cranked somewhere. Look how pretty and bright that is! I bought at least three at H&M. They have wonderful prices and lots of great neutrals. I got a bright orange one at Nordstrom that was less than $20. I’m thinking it’s like my personal piece of sunshine to take with me wherever I go! Beauty Balms- For the ultra product-savvy, you know what these are. The industry calls them BB creams. For those that don’t know- these are like a tinted moisturizer that have SPF, primer, and brightening properties all in one product. 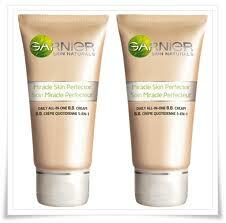 They come on the really high-end like Dior- to the first ever at the drugstore brand- Garnier. I have yet to try the Garnier one, it’s sold out wherever I go. 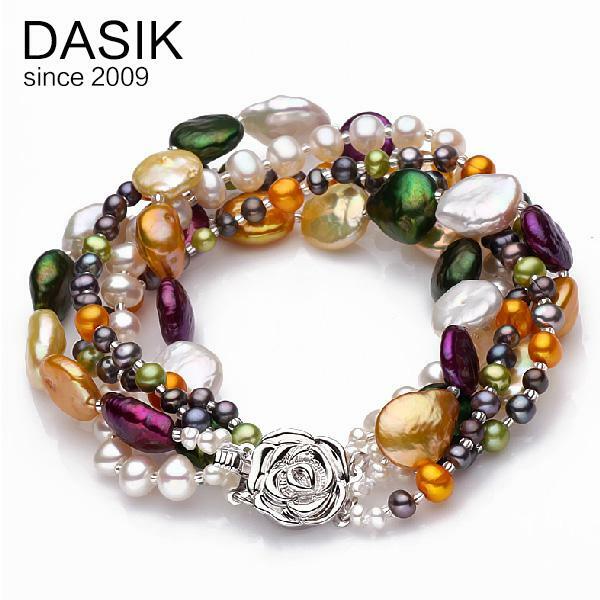 But the Dior one is great and so is one by Boscia. Some have one tint fits all, some have shades. If you are a less is more person- this is for you. You’ll get some coverage and sun protection in one product. Bam! You’re welcome. There’s a line of products out there by ALTERNA called Bamboo. I love their glossing creams and root sprays. They seem to have what the label promises, organic ingredients and I seem to be going back to them even though my bathroom looks like a Sephora store. Find this at Ulta or Sephora. Yeah, I’m the queen of TV. Although, it seems as much TV as I watch, people will ask if I’m watching a show and I realize I haven’t been. So I know that I’m not watching EVERY show out there. Even though it seems that way to my husband. GCB- the new show on ABC with Kristen Chenoweth, who I love! It’s over the top, ridiculous and campy. Perfect for me! Check it out! And yes, she does sing on the show! So there you have it. Like a little dish of candy all served up nice and sweet. Thanks for joining me. Tune in next week when I write about…. wait for it…. PMS- just like always. Okay, I don’t really know if I will, but 8 out of 10 posts seem to deal with that, so there’s a good chance of it in the forecast.